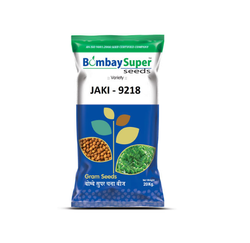 Jaki - 9218, Pack Size: 20 Kg. To retain our goodwill in client's consideration, we are manufacturing an excellent quality range of Research Black Gram Seed. We are wholesaler and producer of Certified Gram Seeds. Spiso Unpolished Organic Dals are free from Harmful Chemicals, Pesticides and Colour. These Dals are Fresh from Farms to Kitchen. It is rich in molybdenum & protein with tasteful flavor & is highly nutritious. We are offering Bengal Gram Seeds to our clients. Bengal gram seeds are small and dark and have a rough coat. It is majorly cultivated in India. In the Indian vegetarian culinary scenario, bengal gram is a major ingredient. It is essentially used in making curries. In the southern India, unripe grams are picked and consumed as snack and the leaves are added in the making of salads. We are ranked amongst the most trusted firms deeply engaged in offering a wide range of Gram Seed. Green gram provides protein requirement for vegetarian population of the country. it is a protein rich diet. in India, it is consumed in the form of whole pulse as well as split pulse. We have emerged as one of the fastest growing organization engaged in offering wide range of food products. Our entire product range are highly demanded and appreciated in the market. Our entire product is fresh and ready to use. We practice and maintain our ethical approach while providing packaging solution, shipment and also offer time prompt delivery. 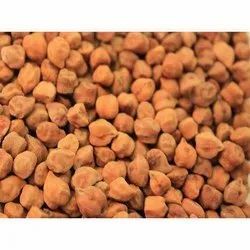 To fulfill the diversified needs of our prestigious patrons, we are highly engaged in manufacturing and supplying a wide range of Green Gram Seed. - Broadly used for making various dishes.